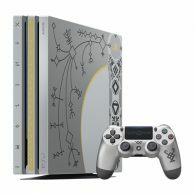 Kingdom Hearts III will be releasing in just over a months time, and to celebrate the release of the game a limited edition PS4 Pro has been announced. The limited edition bundle will be available from launch, and will feature the PS4 Pro console along with a copy of the game. A new PlayStation VR bundle has been revealed by Sony: the PlayStation VR Mega Pack. 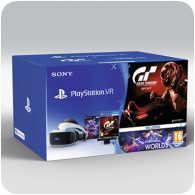 The bundle includes the PS VR headset, PS Camera and voucher codes for five acclaimed PS VR games, including Astro Bot Rescue Mission, WipEout Omega Collection, and The Elder Scrolls V: Skyrim VR. Sony is expanding it’s PlayStation Hits range on the PS4, adding 16 new games to the collection. The new games include the Uncharted Collection, Mortal Kombat X, Plants vs Zombies Garden Warfare 2 and more. 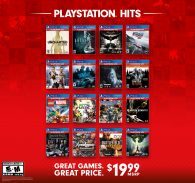 Titles in the PlayStation Hits range sell for a maximum of $19.99 in the US. 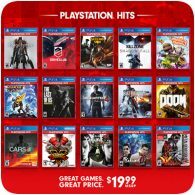 Sony has introduced the PlayStation Hits range of games for the PS4, just like the PS3 before it. Available from 18th July 2018, some of the PS4 greatest titles will be available for €19.99/£15.99 RRP each, and will be available through the PlayStation Store and physically via retailers. 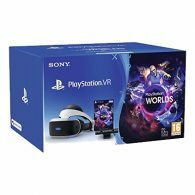 A press release from Sony has just revealed that the PlayStation VR Starter Pack is getting a global price cut starting from 29th March 2018. The bundle, which had a retail price of £349.99 / €399.99 / $399.99 is dropping to just £259.99 / €299.99 / $299.99. 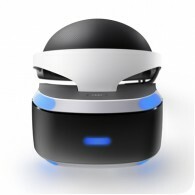 The Starter Pack includes the VR headset, the PlayStation Camera and PlayStation VR Worlds game as a PSN code. Sony and Santa Monica Studio have announced a limited edition PS4 Pro bundle for the new upcoming God of War game. The bundle will be available alongside the launch of the game on 20th April 2018, and will include a God of War themed 1TB PS4 Pro console and DualShock 4 controller. 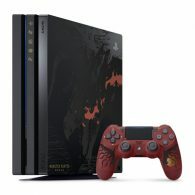 Monster Hunter: World releases next week on the PS4, and to celebrate the game’s release, Sony has unveiled a limited edition PS4 Pro. Launching on 26th January, the PS4 will include a 1TB hard drive and a Monster Hunter branded shell. The bundle will also come with a physical copy of the game and a Monster Hunter DualShock 4 controller. 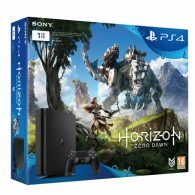 Sony and Guerrilla Games have announced a Horizon: Zero Dawn PS4 bundle to coincide with the release of the game. The PS4 bundle will come with a 1 TB PS4 Slim Console, a DualShock 4 Controller, and Horizon Zero Dawn on Blu-ray disc, and will be available from 1st March 2017. Square Enix and Sony have revealed a limited edition Final Fantasy XV branded PS4, which will be releasing in late November. This custom version of the new slimmer, lighter PS4 model comes with a 1TB HDD, and features a large illustration on the front of the system. 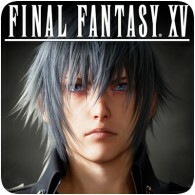 The box also includes Final Fantasy XV with an exclusive Steelbook, and the new DUALSHOCK 4 adorned with an XV graphic.